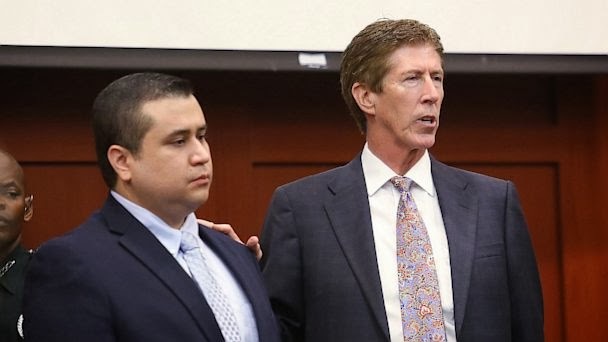 (ABCNews) -- The Florida attorney who helped George Zimmerman beat a murder charge for the death of teenager Trayvon Martin is now being investigated for how he handled the case. “The Florida bar has one case pending at staff in regard to Atty. Mark O’Mara’s representation of George Zimmerman. All other information is confidential at this time, as is the case with all open investigations,” the bar said in a statement to ABC News. O’Mara severed ties with Zimmerman the day after Zimmerman’s wife called police in September to say that she was “very scared” after he has allegedly assaulted her father and threatened her. At the time a spokesman for the lawyer said that he would not represent Zimmerman in any future litigation including his divorce and any possible charges resulting from the incident. Zimmerman denied his wife’s accusations and was never charged in the incident when his wife declined to press charges. O’Mara could not be reached for comment about the Florida Bar review, and few other details are known including who lodged the complaint. But the Orlando-area attorney gained notoriety when he volunteered to represent Zimmerman just days after Zimmerman was charged in Martin’s death. At the time he said that he would work for free, but when donations began pouring into a Zimmerman defense fund the attorney said he hoped he would receive compensation. When Zimmerman was arrested last month and hit with several charges including felony aggravated assault during an alleged domestic violence incident involving his girlfriend, O’Mara repeated that he would not represent Zimmerman. Zimmerman, who denied the accusations, requested that a public defender represent him. According to a court document, Zimmerman was $2.5 million in debt, largely due to legal fees incurred during his murder trial. He eventually hired Miami-based criminal defense attorney Jayne Weintraub who helped him get the most recent case dismissed. At the time of his arrest in November, Zimmerman was ordered to surrender his cell phone, two handguns, a shotgun, and a AR-15 rifle. Since the charges have been dropped, Zimmerman is eligible to have the weapons back, but according to the Seminole County Sheriff’s Office, he has yet to pick up the items.